The woman driver who seriously injured a pedestrian crossing Villa Avenue on Friday night has been charged with driving under the influence. Kristin Osterberg, 34, of Wormwood Road, struck the man with her Honda about 7:50 p.m., police said. It was her second DUI arrest in Fairfield in six weeks. The pedestrian, who has yet to be identified, owns a nearby tax services business, said Lt. James Perez, a police spokesman. He was conscious but appeared seriously injured on scene, Perez said, and was taken by ambulance to St. Vincent's Medical Center in Bridgeport. The man had apparently stepped off the sidewalk onto Villa Avenue, near Greenfield Street, when his elbow or arm crashed into the passenger-side windshield of Osterberg's SUV. He was either launched or dragged between 30 and 50 feet, Perez said, losing his eyeglasses and at least one shoe in the process. Police said there was beer in Osterberg's vehicle. On Feb. 10, Osterberg was charged with DUI after she struck a vehicle near the Brick Walk shopping center on the Post Road, according to reports. 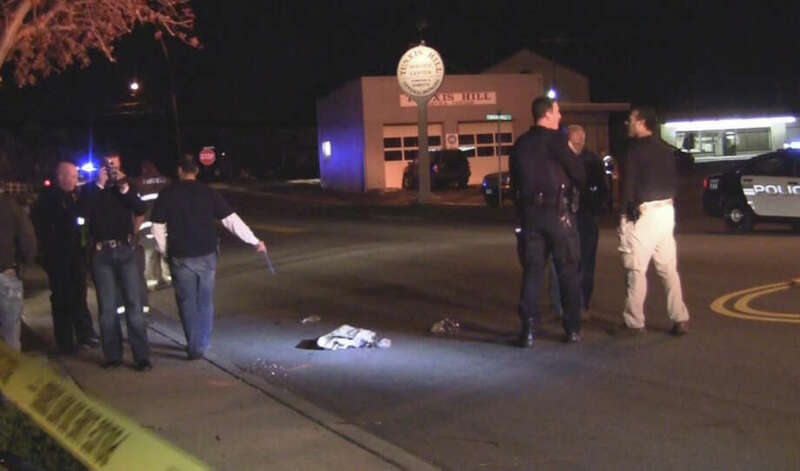 Police investigate the scene on Villa Avenue in Fairfield where a pedestrian was struck and injured by a car Friday night.